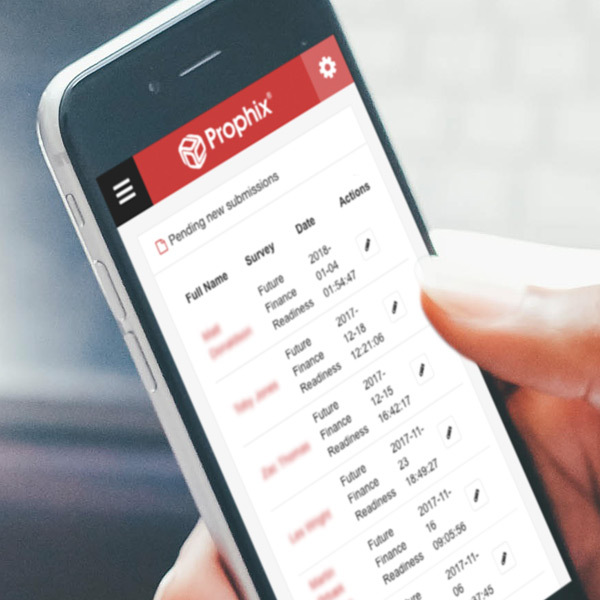 Prophix develops innovative software which automates critical financial processes such as budgeting, planning, consolidation and reporting to improve profitability and minimise risk, so they required an insightful mechanism to facilitate new business development. 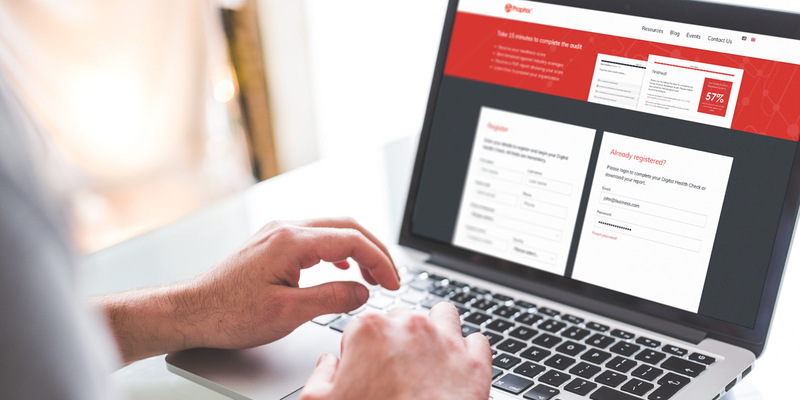 To bolster their position as the marketplace front-runner in the Corporate Performance Management (CPM) sector, we created a self-managed lead generation web application that enables potential customers to benchmark their financial performance. 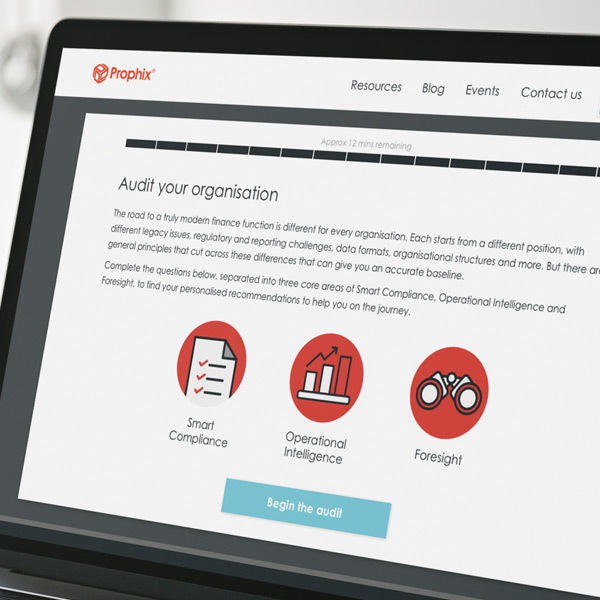 Drawing on Prophix’s experience of working with thousands of organisations around the globe and gathering additional input from independent experts, we selected the core audit areas to guide users towards a benchmark score. We then developed a scoring matrix to provide relevant responses and a data-set which organically grows as more organisations contribute information. This audit is an attractive tool for potential clients who are key decision-makers, and it plays a major role in the Prophix sales pipeline by providing an intimate knowledge of a prospect’s challenges and environment prior to first conversations.